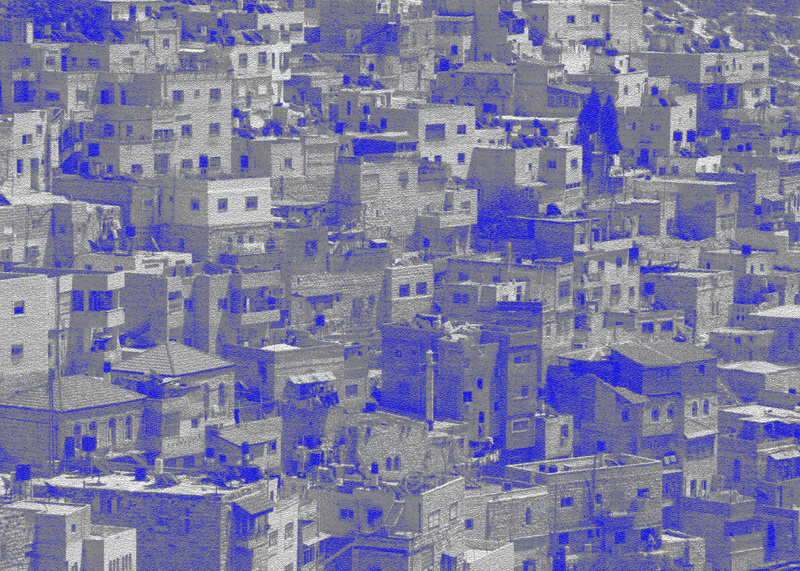 For millennia, Israel has been the destination for countless journeys made for many different reasons; some sacred, others profane and many mundane. 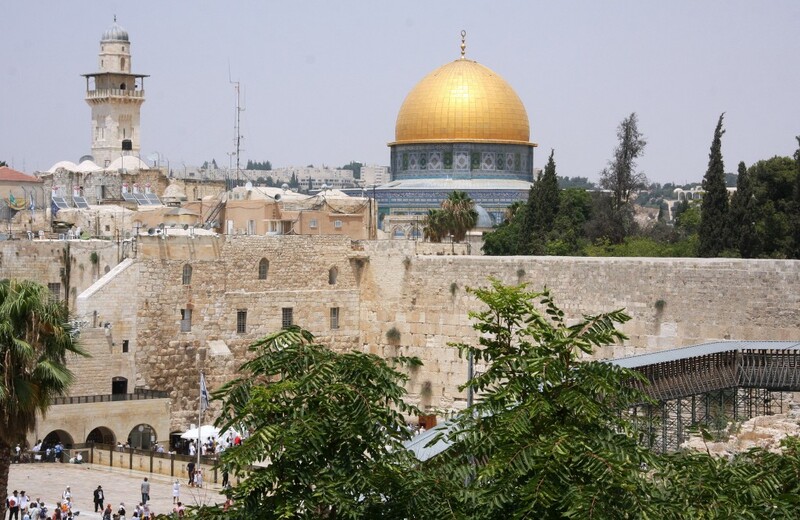 Israel is, of course, a singular point of convergence and conflict amongst three of the world’s great religions: Judaism, Christianity and Islam. The resulting cultural interchange is, perhaps, one of the reasons the food is so good. And that, of course, is at least one of the place’s attractions for us, particularly the street food. 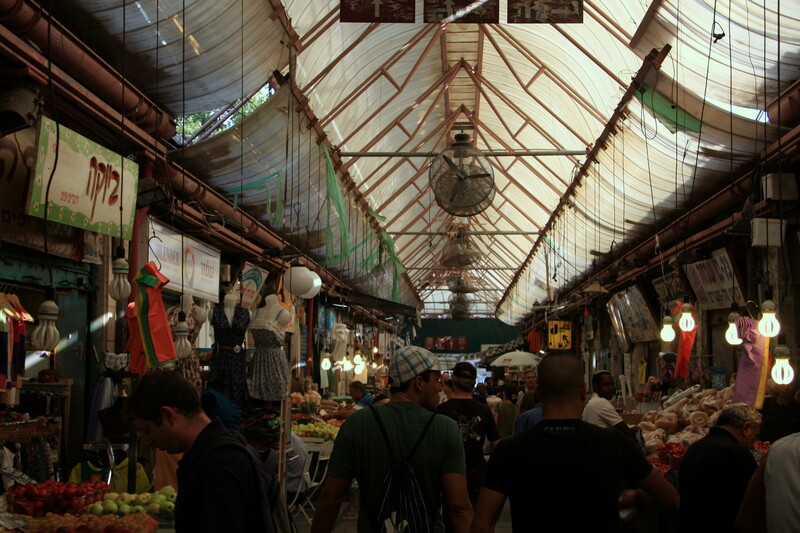 While the street food is, quite often, one of the attractions of nearly all travel abroad, Israel’s offerings are amongst the best and certainly amongst the most underrated. Perhaps Israel’s best known version of street food is its Falafel: deep fried chickpea fritter balls served in a pita pocket with tahini sauce and usually offered with pickles, salad and hot sauce. Nearly as famous as Falafal is Israel’s Shawarma – essentially Israel’s version of Turkey’s Döner kebab or Greece’s Gyros. 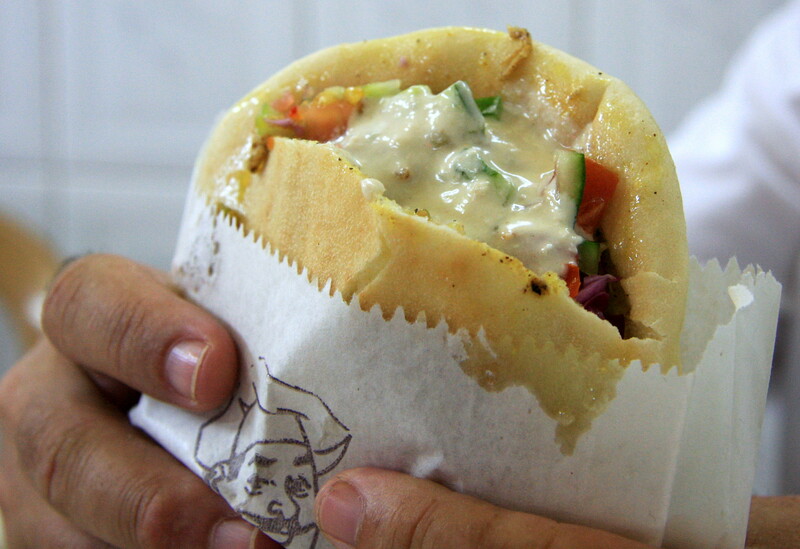 The Shawarma is, like the Falafel, offered with tahini sauce, pickles, salad and hot sauce. 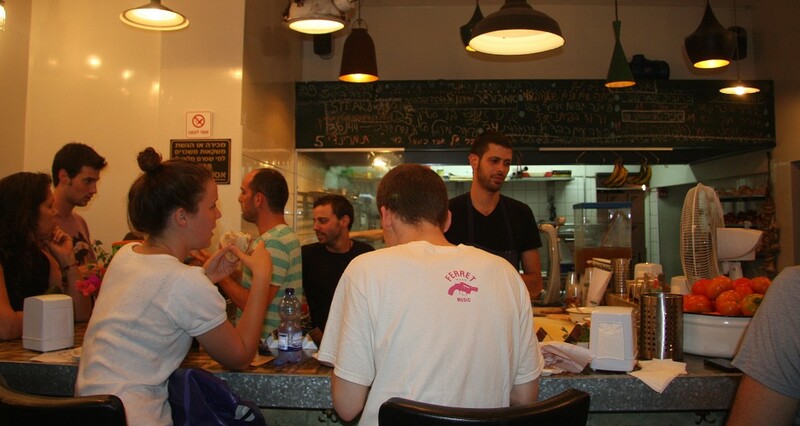 Tel Aviv’s Hatikvah Quarter offers another version of what might be called street food (though in a restaurant setting): grilled kebabs of a dazzling variety of meats including beef, lamb, duck, foie gras, as well as offal such as chicken livers, spleens, cows’ udders and the like. These are offered with Iraqi pita and an even more amazing array of salads, dips and a fiery Yemenite spicy condiment called Zhug. My Israeli cousins knew my passion for street food. 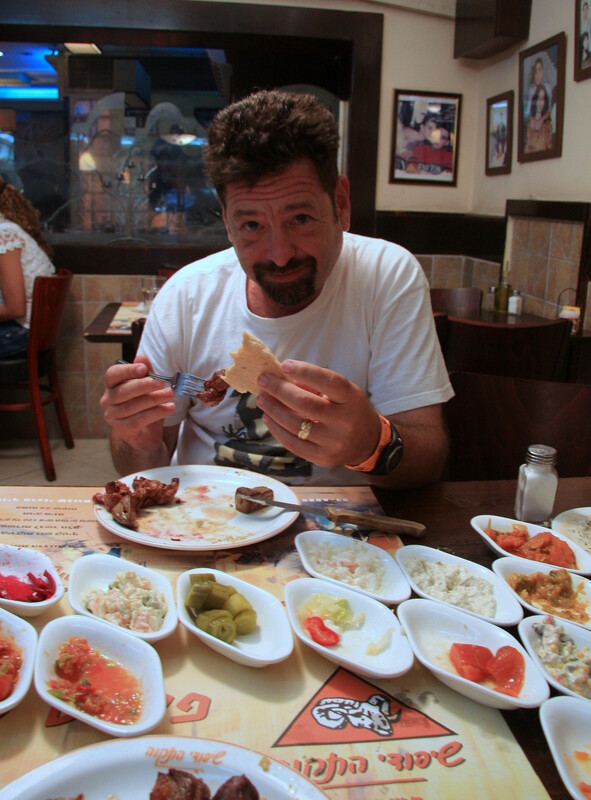 Thus it was that within hours of deplaning at Ben Gurion Airport after the 11 hour flight from Los Angeles’ LAX airport that my cousins brought us to Miznon, perhaps the greatest “street food” restaurant in the world. It was, in fact, only blocks from the apartment in which we were staying (a place we lovingly called the “Lily Pad”). Miznon is the creation of Eyal Shani, a bona fide Israeli celebrity chef, with several high end restaurants and a slot as a judge on Israel’s version of Master Chef. The concept is simple: gourmet food done as street food. The execution is spot on. Like the Shawarma and Falafel dishes upon which Shani was riffing, the food was served in pita and offered with tahini sauce, several pickles (particularly the nearly ubiquitous Israeli Pickled Cabbage) and hot sauce. But it is what goes inside the pita that makes Miznon special. With a frequently changing menu written on a chalkboard, a meal at Miznon might be sautéed shrimp or braised short ribs or an eggplant stew or “ma she’yesh” (which translates roughly as “whatever there is”). I knew from that first night in Israel that this might be a whole new class of dishes. What couldn’t go into a pita pocket? Whoever said it had to be limited to fried garbanzo balls or pressed meat on a spit? The imagination ought to be the only limitation. I would be going to this card frequently. And so it was that, in a nod to the well developed coffee cultures of Israel (from Turkish coffee in the mazy souk that is Jerusalem’s Old City to the hip spots throughout Tel Aviv), I decided to braise chunks of lamb shoulder in coffee and serve it with some of the traditional accompaniments. 1. Make the Pickled Cabbage. About a week before the meal, combine all ingredients except the cabbage in a large pot over high heat. Bring the pot to a boil and stir to fully dissolve the salt. Once the salt is dissolved, turn off the heat and add the cabbage, making sure that all the cabbage is covered with the brine. Place the lid on the pot and allow it to cool slowly. Meanwhile, boil the mason jars in which you plan to store the cabbage to sanitize. 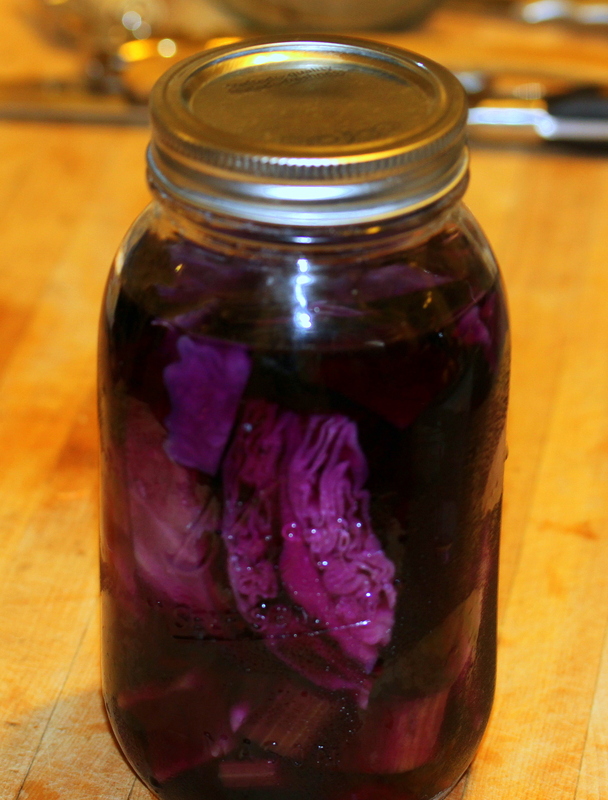 When the liquid is cool, pack the cabbage into the mason jars, fill them with the brine and store in the refrigerator for at least five days until ready to use. 2. Make the Pickled Turnips. 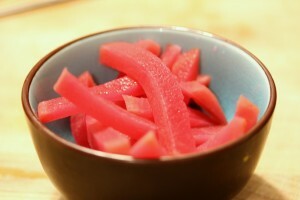 About three days before you make the dish, peel the turnips and the beets and slice into uniform ½ inch thick slices. Slice those slices into batons. Place the batons in a large bowl and cover them with the kosher salt. Let them sit in the salt overnight (for about 12 hours). The following day, transfer the beets, turnip and the water that has come out and put them in the jar (sanitized as above) along with the arbol chile peppers and celery. Add the warm water and vinegar (if the liquids do not fill up the jar, add some more water and vinegar (in approximately equal amounts). Refrigerate the pickles for at least two days until ready to use. 3. Braise the Lamb Shoulder. Season the lamb with salt and pepper. Add the olive oil to a dutch oven over high heat. When the oil develops waves (but before it smokes) add the lamb to the pot and sear all over. Remove the lamb from the pot and turn the heat down to low. Add the onion, carrots and fennel to the pot and sweat for two to three minutes. Add the garlic and herbs and return the lamb to the pot and pour the coffee over the lamb to cover. Bring the coffee to a boil and reduce the heat to low. Maintain pot at a simmer for two hours or until the lamb is tender. 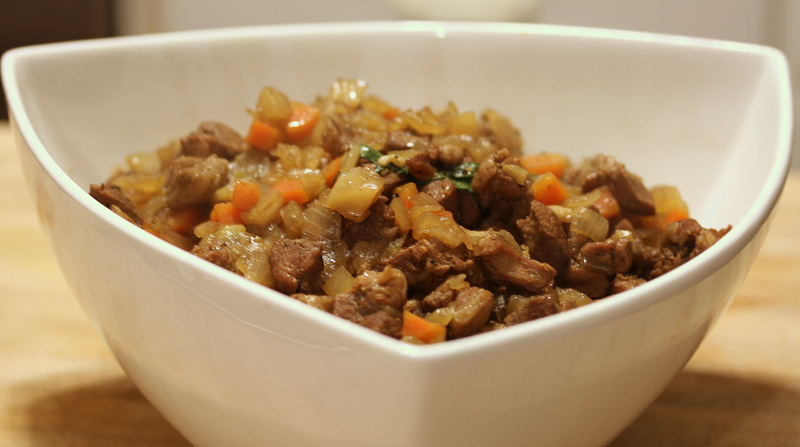 Remove the lamb from the pot and reduce any remaining liquid to a sauce consistency. 4. Make the Tahini Sauce. 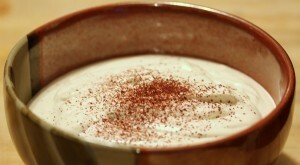 Meanwhile, combine the tahini paste, lemon juice, and garlic in the bowl of a food processor and process to combine. Add the water to the bowl of the food processor through the feed tube in a steady stream to form a smooth, creamy sauce approximately the thickness of heavy cream. Taste the sauce and adjust the balance of water, salt and lemon juice as necessary. The exact amounts of water, lemon and salt will depend on the exact properties of the tahini paste (and, quite probably, your mood). Turn the tahini sauce out into a bowl and garnish with sumac. 5. Assemble the Dish. Cut the pitas in half. Drizzle some tahini sauce in the base of the pita half. 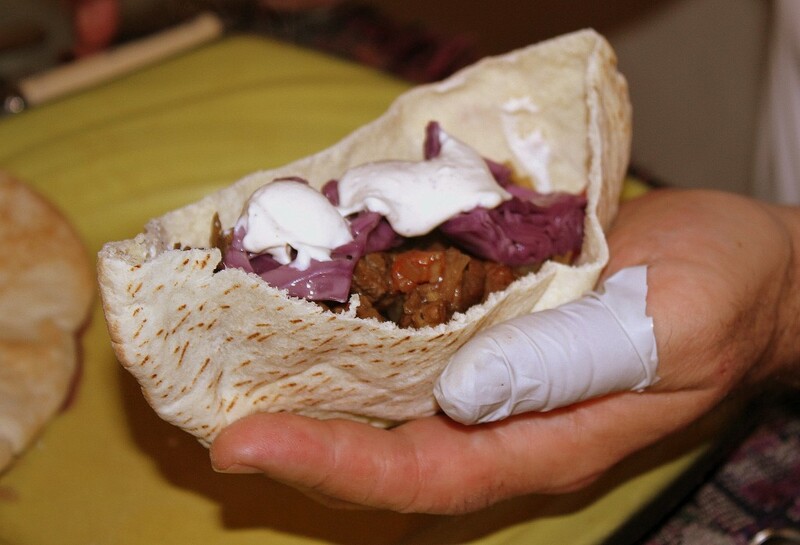 Add two batons of the turnip pickles in the bottom of the pita pocket, top with the lamb shoulder, some of the pickled cabbage and the tahini sauce. Sounds awesome! Now what is the story of the thumb in a glove finger? LOL! I wondered how long it would take someone to notice! Hmmm…let’s see, there are so many comebacks it boggles the mind…but the truth is that I was working a bit sloppily at Special Delivery last week and paid the price. Question? Is Pickled Israeli Cabbage their version of kimchee or is it less fire and more pickled? It is DEFINITELY less fire and more pickled. Part of its charm is that it is a light picle.